A breakdown of the various soaps and waxes used in a carwash. Do you know the differences between the various carwash chemicals and what benefits they provide for cars? The chemicals you use are critical to your carwash, because they will determine how clean the cars come out. Consider this: Your dishwasher and washing machine each take 30 or more minutes to run a cycle. Even taking a shirt to the dry cleaner’s takes a couple days. Yet, customers expect you to take their large, grossly expensive vehicles and spit them out clean, dry and shiny in just a couple minutes. That’s a tall order, and you need all the chemical help you can get to ensure those results. However, there is no one standard for carwashes (or chemical terminology) in our industry, even among the same type of wash. As such, some of the chemicals listed below may not be appropriate for your operation or may go by different names. Speak with a chemical manufacturer to learn your wash’s specific capabilities. 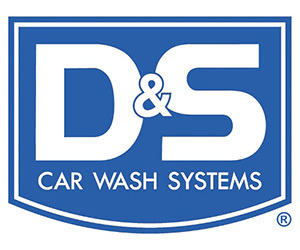 According to Dan Kramer, who is the technical director for Stone Soap Co. Inc., if you were to open a friction, tunnel carwash, the chemical categories listed in this section are the ones you absolutely need, or you won’t be able to do business. Some of these, such as the protectants and triple foam, are primarily profit boosters but still considered industry standards. 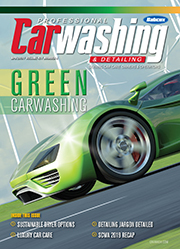 We will discuss various ancillary, profit-boosting chemicals in a later issue of Professional Carwashing & Detailing. 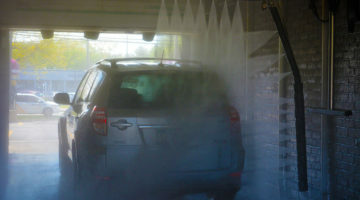 According to Kramer, if a tunnel carwash has the proper equipment for it, a presoak arch will be the first step of the cleaning process that customers encounter. Shorter tunnels, he adds, may not utilize a presoak because there is no room for it or because, with a shorter wash time, it could be more difficult to rinse off and cause issues with drying at the end of the tunnel. Will Jackson, co-owner of KC Chemicals, explains, “This product should be applied first to start off the cleaning process, removing the film and dirt and grime from the vehicle’s surface. This product needs to be effective to set up the vehicle for the additional application of waxes.” In fact, given the cleaning that presoaks accomplish, Jackson believes they are some of the most underrated chemicals in the industry. Presoaks, along with other chemicals, come in low-pH and high-pH variations. What’s the difference? Stuart Hulsey, technical services manager at Zep Vehicle Care, explains that a high-pH presoak is an alkaline product formulated to remove oily and greasy soils while a low-pH presoak is an acidic product formulated to remove dirt- and dust-based soils. In addition, Jackson adds, low-pH chemicals have different acids in them that help shine the car, and they will also help neutralize the soaps going down the drain. Next, vehicles will encounter detergents. These neutral or low-pH products have a high lubricity that lifts and holds soils until they are rinsed off, and they also prepare the vehicle surface for drying. “This product cleans and seals the vehicle’s surface cracks. It sets up the surface for total body protectants to bead up the rinse water for better drying. Additionally, correct lubricity lowers the risk of hard damages to vehicles,” Jackson notes. Both Jackson and Hulsey find that detergents are underrated. “Lubricating foam soap can actually be considered the early starting point of the drying process. Using the incorrect type of lubricating foam soap causes water retention instead of promoting free rinsing, resulting in the removal of water from the vehicle surface,” Hulsey notes. Tire/wheel cleaner, which comes in both alkaline and acidic variations, removes both organic and inorganic soils from brake pads, abraded rubber, etc. This product should not be confused with tire protectants or dressings, which will be discussed in a later article. Kramer notes that more and more customers are coming in with custom wheels on their vehicles. These components are typically expensive and cherished by customers. 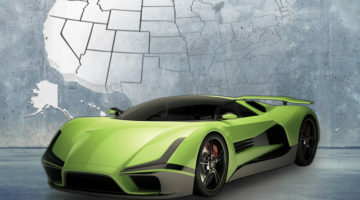 As such, he says, carwash chemical manufacturers have to be careful of the kind of chemistry used in wheel cleaner, because custom wheels can be damaged. “So, we have to supply a product which is safe for both factory OEM wheels and aftermarket — get them both clean without doing damage to either. 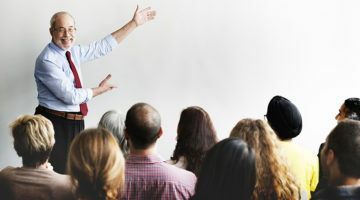 And we’ve got probably five to 10 seconds to get that job done,” Kramer notes. For this reason, Kramer believes that tire cleaner does the “heaviest lifting” in the carwash and is one of the most underappreciated. “It’s got the biggest job to do in the shortest period of time,” he states. 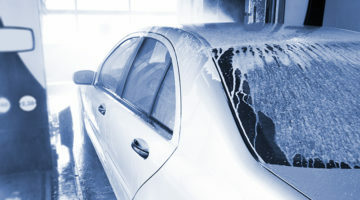 After the detergents and wheel cleaner have been sprayed onto the vehicle, customers will likely come across triple foam products, if they’ve purchased that upgraded package. Triple foam products come as conditioners or polishes. The difference between the two, Jackson states, is that conditioners help clean the car while polishes apply a layer of wax in addition to cleaning it. Many carwashes, he claims, have both, running the conditioner first and then the polish wax. As for why it’s called triple foam, that’s purely because of the colors. While Jackson notes that standard triple foam colors often come as red, gold and blue, he says that chemical companies will customize the colors to whatever you want, including such colors as purple and orange. “When these foams mix together, they form all kinds of different colors,” Jackson states, which ends up being part of the show for the customer and a way to reassure them that they got some value for their money. Rinse aids are mineral- or synthetic-oil-based and formulated to repel and remove water from a vehicle’s surface through beading. “They’re basically turning the equation around,” Kramer explains. 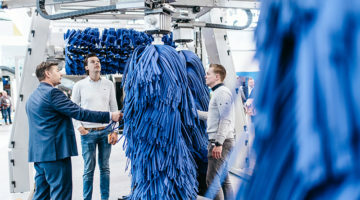 “What we’ve been doing is reducing surface tension to clean a car; now, we have to put a product on that’s going to increase surface tension so that water wants to run off it.” Rinse aids ultimately help dryers blow water off easier. It’s important to understand that clear-coat or paint sealants are not waxes. Paint sealants use synthetic ingredients to get into the pores of a vehicle and protect it against the elements. On the other hand, polish-type waxes usually have a form of natural wax, such as carnauba, within the product that brings out a paint’s luster and gets the vehicle to shine. 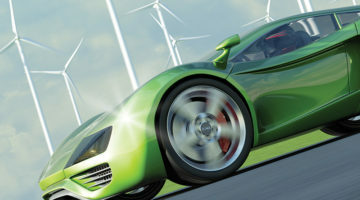 Hulsey explains that sealants are mineral- or synthetic-oil-based products meant to provide short-term protection to vehicle finishes against ultraviolet (UV) sunlight and weather elements. One of the major sellers these days, Jackson notes, are heavy-duty waxes that, when combined with colored LED lighting, are meant to look like bright lava pouring onto the car and really entertain the customer. “It also helps with the lubricity going down the tunnel,” Jackson adds. 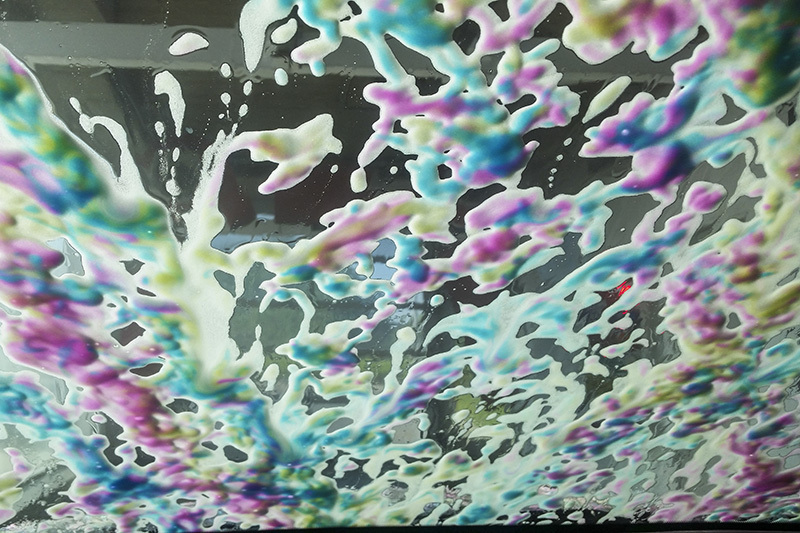 In addition to the regular wash chemicals needed to effectively clean a vehicle, there are several chemical add-ons and upgrades customers can select at most professional carwashes. While these additional services can mean profits to operators, customers also enjoy the protection and results that come from selecting these services. In addition, there are several detailing chemicals that carwashes, especially full and flex service locations, should be cognizant of and leverage during their pitches to customers and prospects. This is a high-pH product meant to remove the highly acidic remains of bugs on cars. Bug wash should be used as a pretreatment in a wash. Bug wash is difficult to automate, given that the product needs a couple minutes of dwell time in order to loosen the insect remains properly. 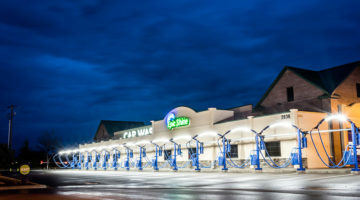 As such, for express carwashes — where shorter time in the tunnel is a significant selling point — consider adding self-serve bug wash stations before your ticket lines. At most, all you need is a sign, a couple cans filled with bug wash solution and hogs hair brushes, and then your customers will be able to apply the product to their vehicles themselves before going into the wash.
Glass cleaners are meant to not only clear the windshield of grime and leave it streak-free but also to treat glass so that precipitation and other vision impairments will slide off it easier, improving driver visibility. 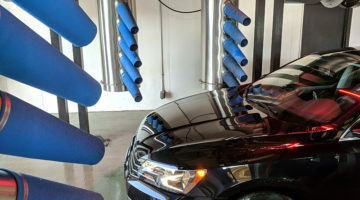 It hasn’t been until recently that tire dressings, which give black tires a glossy look, were able to be applied in an automated process in a carwash. Tire dressings used to be relegated solely to detailing and full-serve hand applications that were sprayed or rubbed on with a sponge. Kramer states that online tire dressings have not only made the process less labor intensive, but they’ve given portion control to the operator, as manual applications may be wasteful or unevenly applied. Tire dressings come in various types, including water-based, which have less sling; solvent-based, which dry quicker and increase shine; or as straight silicone, which provides the highest gloss for the most economical price. Underbody rust inhibitors are generally added to the undercarriage wash and are formulated to provide a protective coating to the bare metal surfaces found on the underbody. Rust inhibitors are an especially important add-on for coastal areas or regions that often see snowy winters. As the streets get coated in salt and other deicers, these elements get kicked up into the undercarriage and threaten to corrode it. Winter is often a time of booming business in northern regions precisely because residents are looking to wash the salt off their cars. A rust inhibitor becomes an attractive addition to your chemical lineup here. While wheel/tire cleaners are meant to simply remove dirt, brake dust and other grime, Stuart Hulsey, technical services manager at Zep Vehicle Care, explains that wheel protectants are “polymer and/or oil-based products meant to add exceptional shine and extended protection from the harsh environment so close to the road surface.” This protective barrier, he adds, makes dirt and grime release easier during future wheel-cleaning applications. Many of the above types of chemicals are also available in handheld sizes for detailers. However, detailers also have access to other chemicals that you would not find in express tunnels, in-bay automatics or self-serve carwash bays. Windshield treatments and water repellants. If you are unfamiliar with any of these chemicals, be sure to reach out to your supplier or manufacturer for more information. 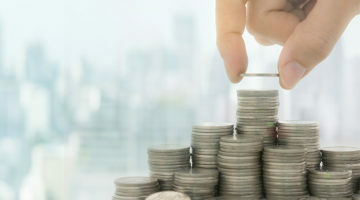 When applied and marketed correctly, these services can be profit boosters to your business and customer experience boosters for a loyal client base. 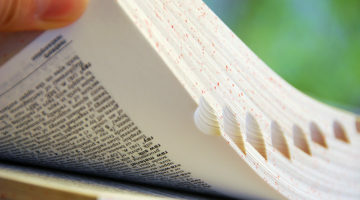 The chemicals mentioned above are largely for the friction market. According to Kramer, the chemicals for the touchless market differ drastically. He states that there are four aspects of the cleaning equation: time, temperature, chemical action and mechanical action. 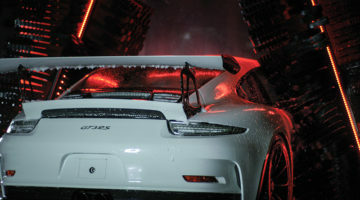 Since the touchless carwash removes the mechanical (or friction) action from the equation, the chemicals have to take on more of the cleaning duty. As such, Kramer says, “We use products that are stronger — that have more alkalinity and more acidity — because we need to make up for the friction. And, we use more of it. 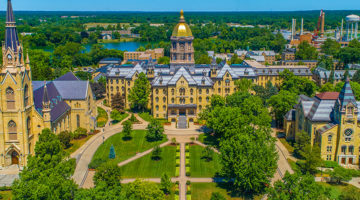 So, your cost per wash chemically wise is going to be higher.” Furthermore, since touchless machines also rely on high-pressure water, this water has to be conditioned. 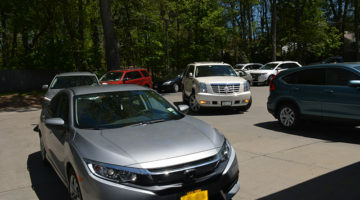 According to Hulsey, an opening order for a set of chemicals can range anywhere from $4,000 to $10,000, depending on such factors as the anticipated volume and applications of the new carwash. Kramer breaks it down further, saying that a drum of chemical can cost anywhere from $300 to $700. Just as with any product, you want to make sure you get your money’s worth. There are several factors that can mess with your chemistry, but one of the biggest ones, according to Kramer, is the “most important chemical:” water. And, according to Jackson, much of your water quality has to do with the area of the country that you’re in. For instance, he notes, the U.S. coasts and places such as Texas inherently have hard water. If you aren’t sure whether or not you have hard water, perform a water analysis. Water quality, along with chain speed, your titrations and various other factors, will affect the number of cars you can wash with a standard 30- or 55-gallon drum of chemical. According to Kramer, for a friction wash, you may use anywhere between half an ounce to three quarters of an ounce of standard carwash chemical per application, but for a touchless wash, you may use between one to two ounces of every chemical, both high pH and low pH, per car. “The chemistry’s important, because if you don’t get that right, you’re not going to get the results you want,” Jackson concludes.